Free Practice: In the free practice sessions the Kaufmann Drivers were running on a good pace. In the final free practice it was Tunjo setting the fastest overall laptime (although his time was deleted due to a yellow flag sequence). 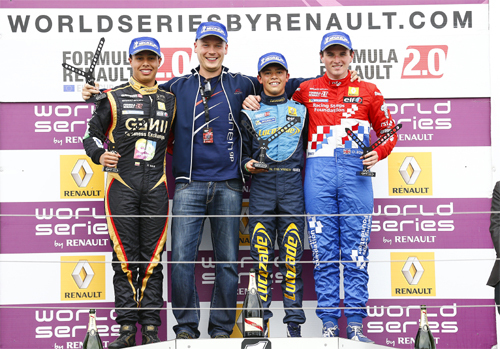 Schothorst was P 7 and Malja P 16. Qualifying 1: In Group A it was Tunjo only managing P 4 in his group. Schothorst and Malja also were struggleing in Group B with P 9 and P 11. Overall a difficult qualifying session. Starting Grid Tunjo P 8, Schothorst P 17 and Malja P 21. Race 1: Race 1 was started under heavy rain, so the first laps were driven behind the Safety Car. 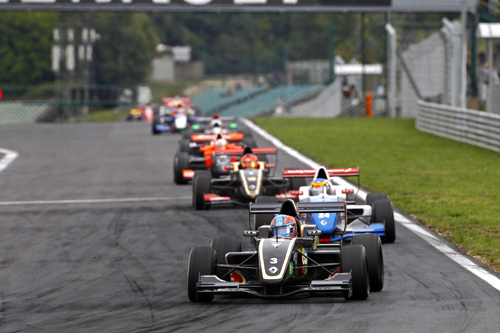 Malja spun in the beginning and dropped to P 26 were he also finished the race. Schothorst had a good pace and moved a few postions to P 13. Tunjo was one of the fastest in the field but had problems to pass the others under those difficult conditions. He finally finished P 7. Qualifying 2: Malja and Schothorst first on track in Group B took P 8 and P 6. Tunjo in Group A was fighting for Pole. In the end he got beaten by 5/1000 of a second and was P 2. Starting Grid: Tunjo P 3, Schothorst P 12, Malja P 16. Race 2: Malja made up a few positions at the start to P 13, directly behind Teammate Schothorst on P 12. Both kept their positions during the race as overtaking was really difficult. In the front it was Tunjo who battled for the victory. After a great move in turn 2 he oved up to P 2 running close to the leader. 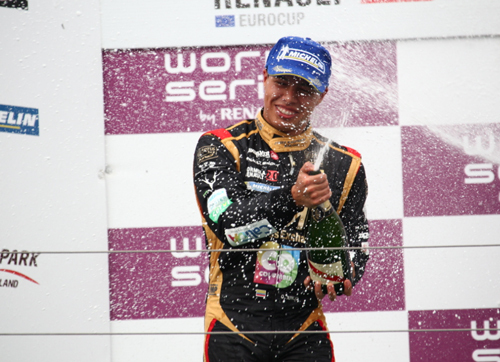 After a great race with very fast laptimes Tunjo finished on P 2 and took another podium this season.